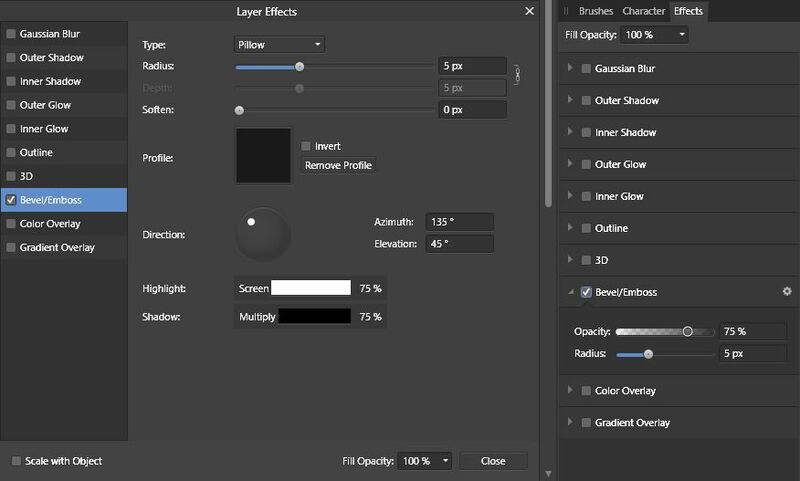 Save all the textures, gradients, and grain from Affinity Designer in a PSD file for your Adobe After Effects animations with this handy guide. Having the ability to scale your assets without losing any quality makes using vector graphics a great option in After Effects. 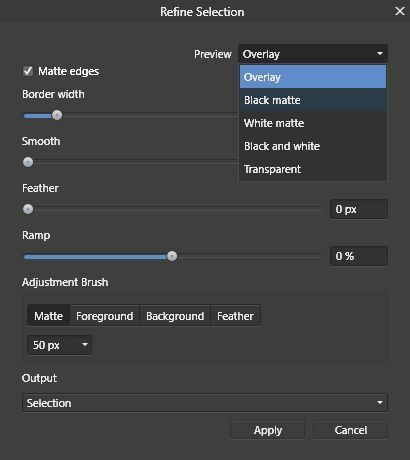 However, by limiting your designs to vectors only, textures, gradients (if you convert to shape layers), and grain have to be added inside of After Effect. With tools like Ray Dynamic Texture by Sander van Dijk the process of adding textures to your designs can be less tedious, but more a tool with even more granular control can help make your designs come alive. Affinity Designer really starts to flex its muscle when the user combines vector graphics along with raster data. It’s like having Adobe Illustrator and Adobe Photoshop in the same program. Let me show you how you can use this tool to export high-quality PSDs. To add raster (pixelation) data to your assets, jump over to the Pixel Persona. Many of the tools found within the Pixel Persona have a similar resemblance to Photoshop. One of my favorite tools is the paint brush. The ability to add brush textures to my vector designs has been a powerful option. As mentioned in previously, there are third party tools that give users the ability to paint textures in Illustrator, buy my files quickly became very large (over 100mb) and the performance became prohibitively slow. Due to the masking features in Affinity Designer, it is easy to keep your brush work inside of your vector layers. Place a pixel layer as a child of your vector layer and paint away. The example above uses Pattern Painter 2 by Franketoon and Fur Brushes by Agata Karelus. For more brushes, check out the first article in this Affinity for MoGraph series to help you start building your brush library. Once brush textures have been added to your design, you have more blending options using the smudge tool. The smudge tool gives the user the ability to blend your pixel based artwork using any brush for more artistic style. 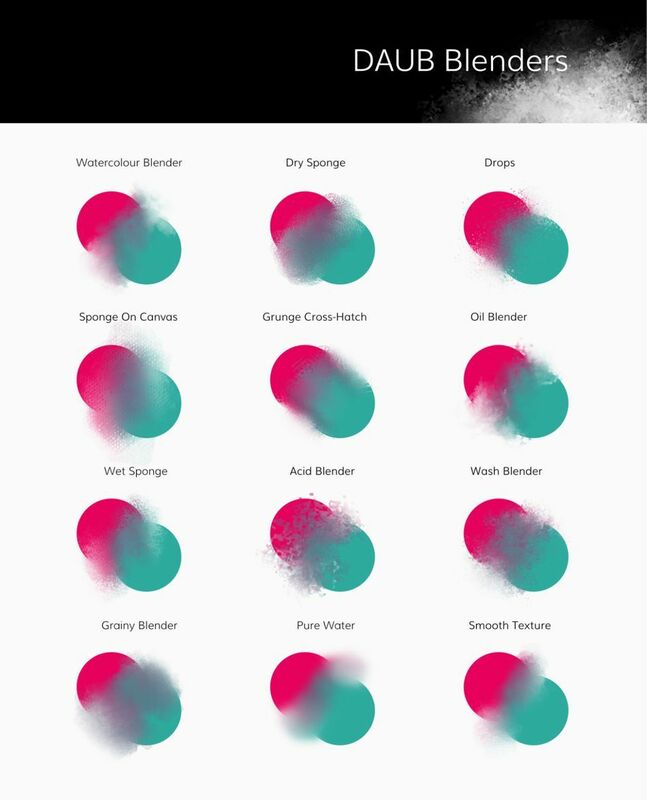 Here is a free brush set called Daub Blender Brush Set that was specifically designed for being used with the smudge tool. The link to the brush set also contains a video on how to install the brushes. At first glance the Effects Panel looks basic, but be sure to click on the gear icon next to the effect name to open up the advanced options. Once you have added raster data, effects, gradients, and grain to your design, EPS is not a viable export option. EPS only supports vector data. In order to preserve our design, we need to export the project as a Photoshop file. The preset that you want to utilize for After Effects is “PSD (Final Cut X)”. 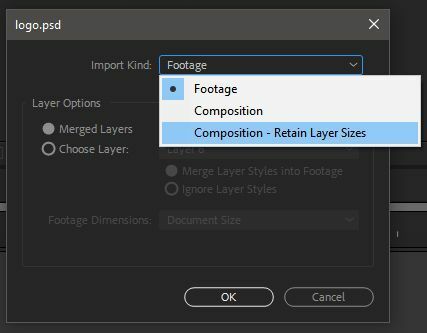 In the next article we will look at more advanced options to help custom tailor how your PSD files are organized inside of After Effects. In addition to keeping your design in tack, all the layer names will carry over to After Effects or Photoshop if you need to use additional tools found there. If you have Affinity Photo, you can also easily jump from Affinity Designer to Affinity Photo for more pixel based options. Footage - your file will be imported as one flattened image. You can also choose a specific layer to import. Composition - your file will retain all layers and each layer will be the size of the composition. Composition - Retain Layer Size - your file will retain all layers and each layer will be the size of the individual assets. In the next article we will look at ways to plan ahead for animating your files in After Effect. Now get out there there and dirty up your vectors!